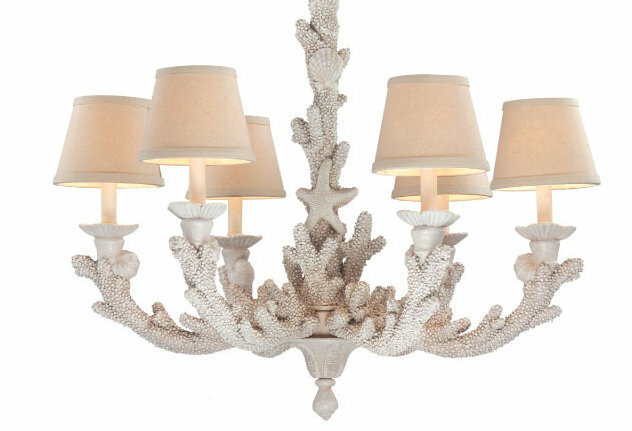 Inspired by the sea, this coral chandelier is decorated ornately with starfish and coral shell designs. Hang over a ktichen, dining room table or large foyer for interior lighting. 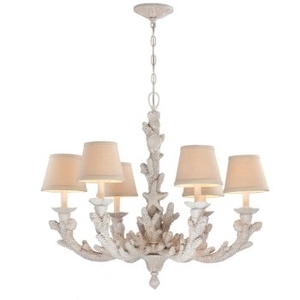 This cream finished beachy chandelier comes with 6 lamp shades for elegant appearance. Set the mood with a one-of-a-kind beach house lighting fixture in your home's decor.